HOUSE leaders expressed high hopes yesterday that the Sandiganbayan First Division will extend the holiday furlough granted to former President-turned Pampanga Rep. Gloria Macapagal-Arroyo until after New Year. 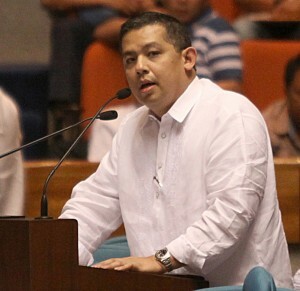 House independent bloc leader and Leyte (1st District) Rep. Martin G. Romualdez appealed to the associate justices to be more compassionate by allowing Mrs. Arroyo to spend more time with her loved ones in her residence at the La Vista Subdivision in Quezon City. “We are very thankful to the anti-graft court’s ruling allowing a four-day pass to (former) President Arroyo during Christmas. I appeal once again for compassion and humanitarian reasons to please extend her furlough until New Year,” said Romualdez, a lawyer and president of the Philippine Constitution Association (Philconsa). Mrs. Arroyo is scheduled to return to the Veterans Memorial Medical Center (VMMC) at 2 p.m. today. Romualdez recalled that the four-day furlough during holidays is eight days shorter than Mrs. Arroyo’s original 12-day Christmas and New Year’s request for furlough from December 23 to January 3, 2015. In partially allowing her request, the anti-graft division cited the upcoming visit to the country of Pope Francis as well as compassionate and humanitarian reasons. The three-page ruling was penned by Sandiganbayan First Division acting chairman Associate Justice Rodolfo Ponferrada, and concurred in by Associate Justices Alex Quiroz and Rafael Lagos, members. Like Romualdez, Speaker Feliciano “Sonny” Belmonte, Jr., vice chairman of the ruling Liberal Party (LP), expressed gratitude to the anti-graft court for making the Christmas of Mrs. Arroyo very meaningful. “We are so happy with the ruling in the spirit of Christmas,” said Belmonte. “That is what Christmas is all about — compassion,” said Albano, a representative for the House minority bloc to the powerful Commission on Appointments (CA). As ordered by the Sandiganbayan First Division, Mrs. Arroyo left the Veterans Memorial Medical Center (VMMC) in Quezon City at 10:17 a.m. last December 23 for her four-day Christmas furlough. The anti-graft division however stressed that Mrs. Arroyo cannot have media interviews and she is limited only in her residence of 14 Badjao Street, La Vista, Quezon City.